e! 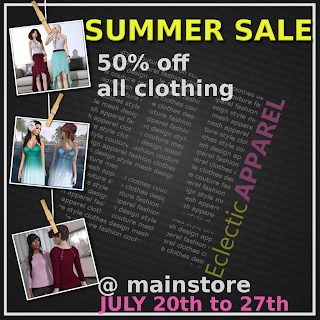 Eclectic Apparel is having its annual 50% off sale. ALL items in the mainstore have been marked to 50% off! This includes fat packs which were already discounted! e! sells original mesh clothing in standard sizing. A huge range of clothing is available at the mainstore.